Have You Hit Hard Times? Madera Title Loans Can Help You. When hard times hit, don’t get caught off guard without the right support. Many times, great financial hurdles will come our way when we are least expecting it. 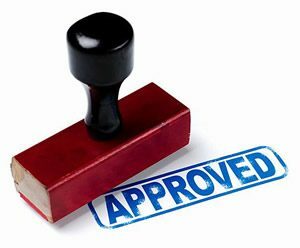 Most people would apply to a larger financial institution such as a credit union or a bank, only to find out that their loan application was denied because it did not meet certain strict requirements. This is when many start to feel hopeless and fall into a deep pit of despair. Luckily, there are alternative lenders such as Madera Title Loans . If you’re in a tough financial rut, don’t wear yourself out going from lender to lender. Unlike the banks, Madera Title Loans won’t keep you waiting in a line just to get help. We won’t waste your time and energy putting you through endless mountains of paperwork, detailed background checks, and interviews only to reject your application. Instead, our aim is to make sure our loan process is simple, easy, and as convenient as possible for you. Unlike traditional loans from the bank, a title loan is made readily available to anyone who is the sole owner of their vehicle. In many cases with Madera Title Loans, you can also get a loan if you are the owner of your motorcycle, RV, truck, and other modes of transportation. On a case by case basis, we can even help you get a personal loan. Title loans are also known as car title loans, pink slip loans, and auto title loans. As the owner of your car or vehicle, your title will be under your name. Madera Title Loans gives you the opportunity to utilize your car title and your car’s equity value in order to get a loan. 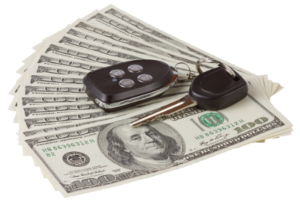 Therefore your car or vehicle will serve as the collateral for your loan. The loan amount you can get with Madera Title Loans will be solely based off your vehicle’s current market value. If your vehicle qualifies, you will be guaranteed a minimum loan of at least $2,500! We’ve had customers who were able to take out a loan of at least $30,000! Even if you think your vehicle may not be worth a dime, you may be surprised at what we can do for you. When you call in today at (559) 795-0593our loan officers will be able to give you a quote of how much you can get for your vehicle. You’ll be amazed at how fast our loan process is! Madera Title Loans has a mission to make our loan process as easy and fast for you as possible. This means we cut out the waiting, the piles and piles of paperwork, and the intense background checks, all so you can get your loan within the same day or in just an hour! Here’s the 3 easy steps to take. Give us a call at (559) 795-0593or fill out our quick online application form. To get started, give us a call today or apply online with our easy application, which will take under 5 minutes to complete! Once you give us a call or apply online, our loan officer will be in touch with you and answer any questions you may have about the process. You can get approved for your loan in less than 15 minutes! You’ll be surprised that unlike the banks, we don’t turn you away if you have bad credit. In fact, Madera Title Loans will not reject your loan application based on your credit score. You can still get a loan with us if your vehicle qualifies with enough equity value! So don’t let your financial history or credit score stop you from getting the help you need! Madera Title Loans is here to make it possible for you to do what you have you do: get bills paid, take out an emergency loan, and whatever else you need a financial resource for. So give us a call today at (559) 795-0593 or apply online with our easy application! Get started on your loan and get your money RIGHT NOW!